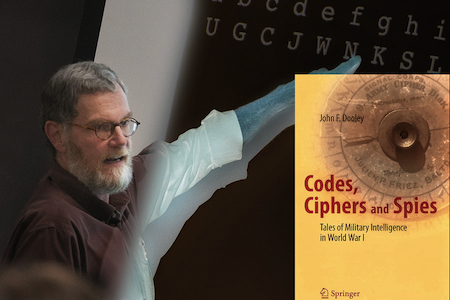 Knox College professor John E. Dooley's latest book (April 2016) Codes, Ciphers, and Spies: Tales of Military Intelligence in World War I" reveals an unlikely hero in the U.S. Army's struggle to decode secret enemy messages during World War I.
John Matthews Manly was a college professor who brought a unique blend of skills to his service as a cryptanalyst, or codebreaker, in the U.S. Army's Military Intelligence Division: a background in mathematics, childhood interest in secret codes and professional training as a scholar of literature. 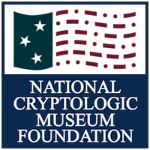 Codes, Ciphers and Spies showcases a series of previously unpublished feature articles written by Manly some 10 years after World War I, narrating the wartime accomplishments of his unit, the Code and Cipher Section, known as MI-8. Click to learn much more via this Knox.edu article about Dooley and the book.